It’s cliché that the dealership experience is fraught with innuendo, misrepresentations and outright falsehood. To help understand why the game is played that way, put yourself into the white patent leather shoes of the typical salesman (or woman, but for the sake of this example, let’s assume a male) at a dealership for a moment. He’s ‘on the floor’ five or six days a week for eight hours. If he’s working on a deal, he’ll often go home at 10:00 or 11:00 at night, and then show up the next morning to complete paperwork or take care of a trade-in. Working ‘bell to bell’ is incredibly fatiguing; the frustration level is compounded when times are slow and all he has to do most of the day is pace the lot. His compensation is commission-based at almost any dealer. Even if he has a salary, it’s minimal, and certainly not enough to sustain any sort of lifestyle. For him, it’s sell or die. When a prospect does show up, he knows the chance of them buying something from him that day is only 15-20 percent. And, if he lets them walk, his close ratio slips into the single digits. He also doesn’t like Internet leads, as he sells only around 6 percent and makes less money in so doing. He knows they’re almost certainly shopping his deal against others at dealers both locally and - thanks to the Internet - perhaps a thousand miles away. Now that you’ve come back to your own existence, wash your hands and give thanks. Second, recognize why that person is so aggressive, and so likely to play fast and loose with the facts. Let us take a look at the rest of the typical retail experience and sales process. When people come in based on an advertisement, they purchase the vehicle that was advertised less than 20 percent of the time. That’s the reason behind the old industry practice ‘the loss leader.' Whether it’s a low, low, low price or an unbelievable lease, it’s all about getting customers in the door. If the salespeople can’t get face time, the chances of moving the metal are slim to none. Besides, people don’t usually read or remember the fine print. Things like ‘Price good only on stock #3256’ or ‘Tax title and license fees, acquisition and cap cost reduction of $4387.90 not included’ don’t stick in the brain when you see your dream car or truck at a ‘too good to be true’ price. Remember, advertisements serve only one purpose - to get you in the front door. 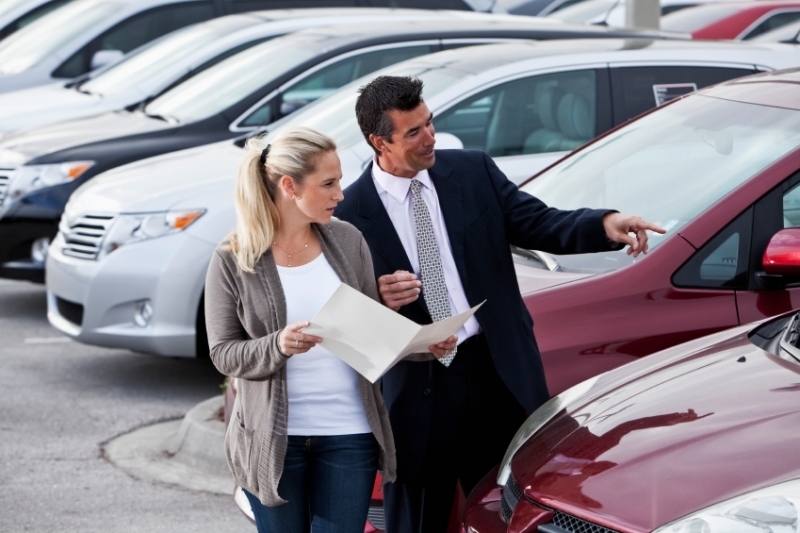 If you’ve wondered why the salesperson or manager is so reluctant to give complete information until it’s ‘time to sign’, it is because once the consumer knows all the parameters of your new car 's deal structure, it is very easy to get another dealer to beat it. Hence the ‘Four square’ sheet so many dealers still use. A salesperson’s training is to ask enough qualifying questions to determine which one of these three parameters is the buyer’s hot button issue. Once they determine which moving part you want to work on, all other numbers are adjusted to cast that one factor in the best possible light for you (not for them) and the numbers are ‘worked-out’ in the fourth box. The Selling Price: This may seem simple, but the selling price is just as important on a lease as it is in a sale. Remember, go as low as you can off the list price, it will save you money on car payments in the long run, lease deals included. The Trade-In: If the hot button is trade-in value, the dealer will maximize what they show to the consumer, and move all other numbers around to compensate for any over-allowance. For example, someone may owe $10,000 on a trade-in that is only worth $8500. But if the salesperson and manager know this is the main issue for the customer, they’ll say, “Oh, we can give you that much!â€ Then, they move the $1500 deficit into the price of the new vehicle or interest rate profit. What they really give the buyer is ‘Actual cash value’ or ACV. If you really want to know what your car is worth, ask for a wholesale buyer’s order with what the dealer will pay for your car even if you don’t purchase something there. This will help eliminate one of the primary areas of control for the dealer. They won’t like it, of course, but you’re not there to make friends. If they refuse, it may be time to rethink the deal. The Interest Rate: Interest rates are easier as they are based on credit scores. Our advice? Get pre-approved for a loan or lease at your bank or credit union. Or, if all else fails, at least know your credit score and what the rate should be in advance. This will help to minimize, or even eliminate, any mark-up in the buy rate the dealer offers. Like in a mortgage, many lenders offer the dealer a chance to make a percentage of the interest rate on the vehicle lease or loan; this profit is called ‘participation.' The buy rate is the minimum, and there is no participation interest charge. The most important thing is to not get caught up in shopping by payment. This gives the dealer more cards to play, as they know everything, and can manipulate accordingly. Once they’ve got you thinking payment, emotion usually takes over, and buyers often accept things like too few miles usage on a lease or a longer term than is wise. It leads very quickly to being upside down in a car or truck, and an inability to trade if life circumstances change. Be a bottom line buyer, and have them show you the math on how the bottom line and payment correlate. Most new car dealers don’t make too much on new vehicles these days. It is too easy for savvy shoppers to cross-shop makes, models and trim variation as well as which dealer will give them the best price on their dream car with the click of a mouse. Dealer handling and document fees: Sheer profit. Make sure your read the little disclosure signs discreetly placed around the premises before assuming you’ve figured the bottom line. Warranties and service contracts: They vary in quality and value, and are discussed in more detail here. As a general rule, they have $1,000-2,000 profit in the ‘first offer’ price. Aftermarket accessories: These are all usually marked up substantially, and all super-duper paint sealants and upholstery protectors are basically worthless from a monetary standpoint. Credit life, disability and GAP insurance: There can be value here, if they’re not overpriced. Credit life and Disability insurance shouldn’t run more than a few hundred dollars. GAP (guaranteed auto protection) covers the difference between the loan value and the amount that would be paid out by an auto insurer in the event of a total loss or a stolen vehicle. On longer terms, when the financed amount is above market value, and when leasing, GAP is good thing to have. To make sure you’re not paying too much, check online insurers to get quotes before you work out your deal. Finally, in this day of creative financing, the dealer’s finance managers are coming up with new products and procedures to squeeze profit out of even the most astute buyer. Don’t be an easy mark - these clever financing products, like contracts for routine service and oil changes, paint sealant and interior stain fighters and wheel and tire warranties (which the manufacturers already offer on new cars), generate up to a third of a dealership’s profit. Remember, Caveat Emptor, is the soundest advice of them all. Isaac’s career includes racing, advanced driver training, mechanical and restoration work. As an automotive broker, he has helped thousands of people lease and purchase vehicles. He has owned over fifty vehicles to date, ranging from barn-found beaters to a Ferrari.